KITWE Magistrate Penjani Lamba yesterday refused to entertain an application by the State to stand down the court proceedings in which Dr Mumba and seven others were arrested on December 11, 2012 for unlawful assembly as they were driving from Lufwanyama District to visit Chieftainess Shimukunami after earlier visiting Chief Nkana. The state wanted the matter stood down to wait for the Copperbelt Provincial Prosecution Officer (PPO) Anderson Simbulyani who was traveling from Ndola to Kitwe with unspecified instructions from the Director of Public Prosecution. 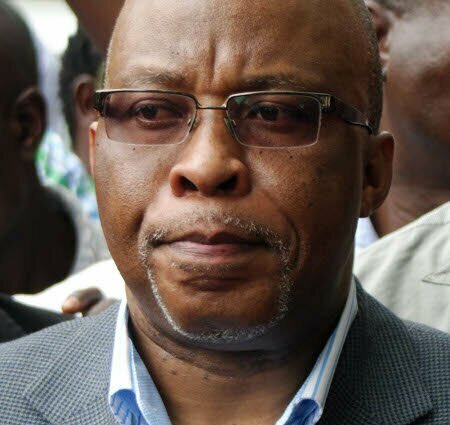 The lawyers representing Dr Nevers Mumba MMD president and seven others have applied to the Kitwe Magistrate Court to quash the charge of unlawful assembly because the accused were stopped on the highway and were not on any assembly or holding a rally. Ireen Kunda from Kunda and company applied to the Magistrate court to use its inherent discretion to quash the charge of unlawful assembly on her clients and refer the matter to the high court for trial. Kitwe District Prosecution Officer Gabriel Chipalo made an application for a stand down of the court proceedings to wait for the PPO who had instructions from the DPP. “I have just received an instruction from the PPO who is on his way from Ndola to Kitwe that he is got unspecified instructions from the DPP on this case and so I would like to make an application to stand down this case as we wait for the DPP,” said Mr Chipalo. But the Defense Lawyer Ireen Kunda from Kunda and Company objected to the application because the instructions from the DPP were not known and the court and the accused could not be kept waiting for something they did not know. “I think your honor, the court proceedings should continue and be adjourned to another date because the court and the accused could not be kept waiting for something they do not know,” said Ms Kunda. Magistrate Lamba ruled that the court proceedings should continue and adjourned the case to March 29 because Muchinga Member of Parliament (MP) Howard Kunda was not present. Earlier in the court, Magistrate Lamba demanded to know the sureties of Mr Kunda who was not in court because he was attending other parliamentary business. Dr Mumba was arrested together with Lufwanyama Member of Parliament (MP) Annie Chungu, Muchinga MP Howard Kunda, Masaiti MP Michael Katambo, and Kafulafuta MP James Chishiba. Others were MMD Deputy National Secretary Chembe Nyangu, Copperbelt MMD provincial women chairperson Edith Mataka. The Magistrate demanded to see the two sureties, Faith Mushongo and Joseph Zulu despite the fact that there was a letter from clerk of National Assembly indicating why Mr Kunda was not in court. The situation forced the court to stand down as Ms Kunda went to look out for the two sureties and only managed to found Mushongo who had gotten lost after the case was moved from Court 5 to Court 3. When the Magistrate asked the State on the issue of one surety who was not in court, the State through the DPO applied for a bench warrant on Mr Zulu. 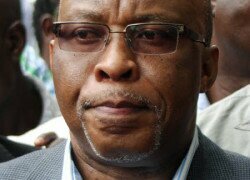 But the Magistrate gave Mr Zulu a benefit of doubt and warned of stern action he failed to turn up for the court proceedings.